This recently built and luxury 2 bedroom townhouse, situated in the sought after Mill Valley development is only a few minutes walking distance away from Ligoniel village and close to the city centre. It offers spectacular views over Belfast city. This modern property features 2 bright and spacious bedrooms, an excellent white fitted bathroom suite (bath with overhead shower), spacious lounge / dining place, kitchen with latest built in appliances, downstairs WC, utility room with sink, Phoenix gas, double glazed throughout, off road parking. 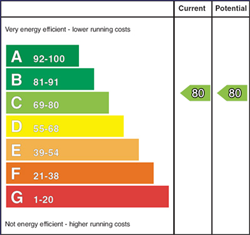 Property is in great decorative order and has an outstanding energy performance rating. The property will attract first time buyers and investors alike. Not to be missed.